This is a C.A.B. 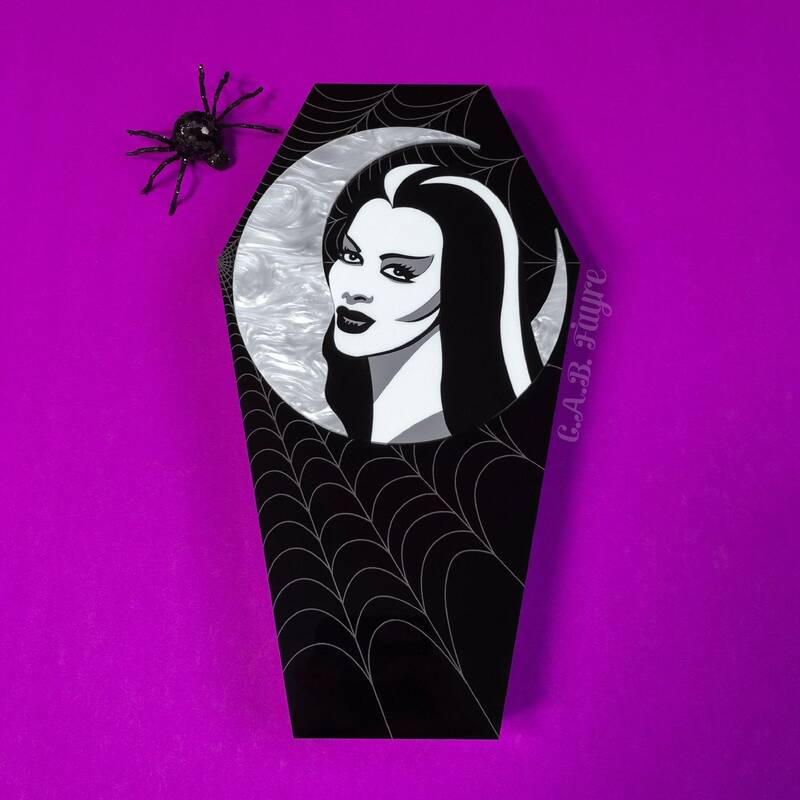 Fayre design. 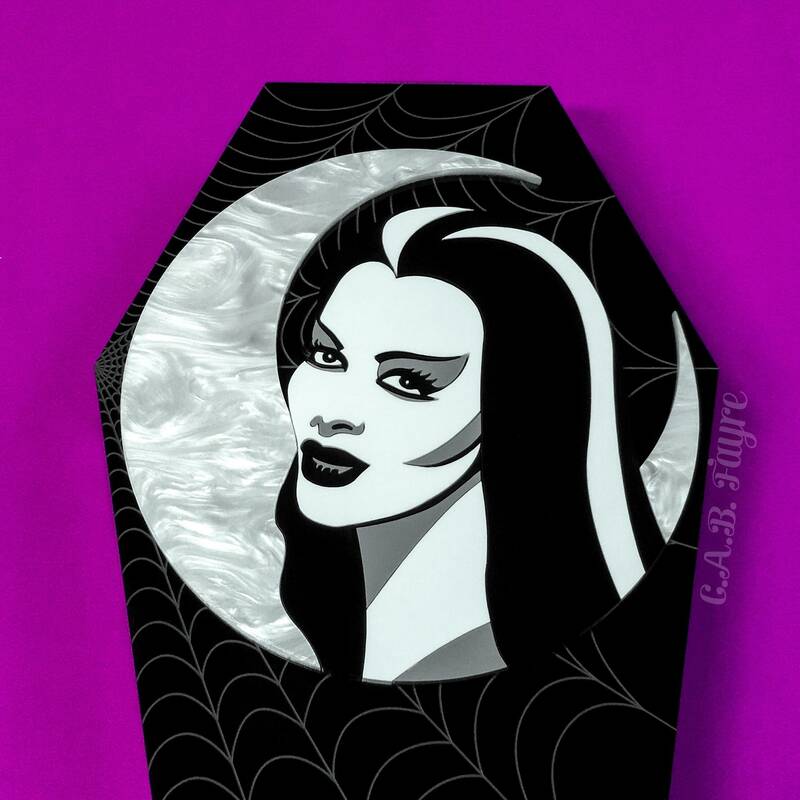 Who more perfect to adorn a coffin box than Mrs. Lily Munster, who wore a cape made of tufted coffin lining. 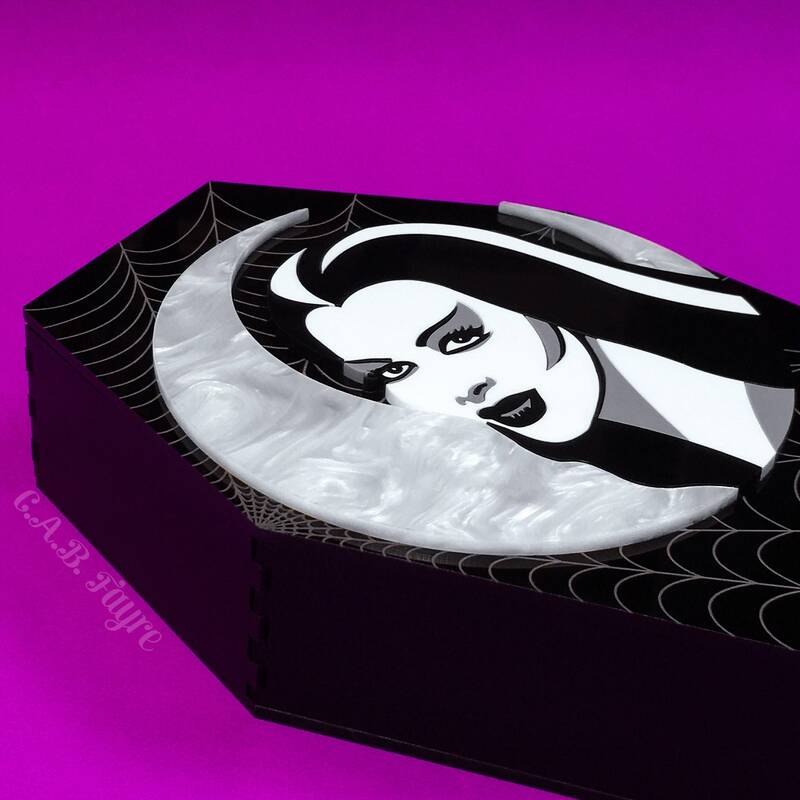 This coffin shaped keepsake box is made of 1/8" thick laser cut acrylic that has been engraved with a spiderweb design on the lid. 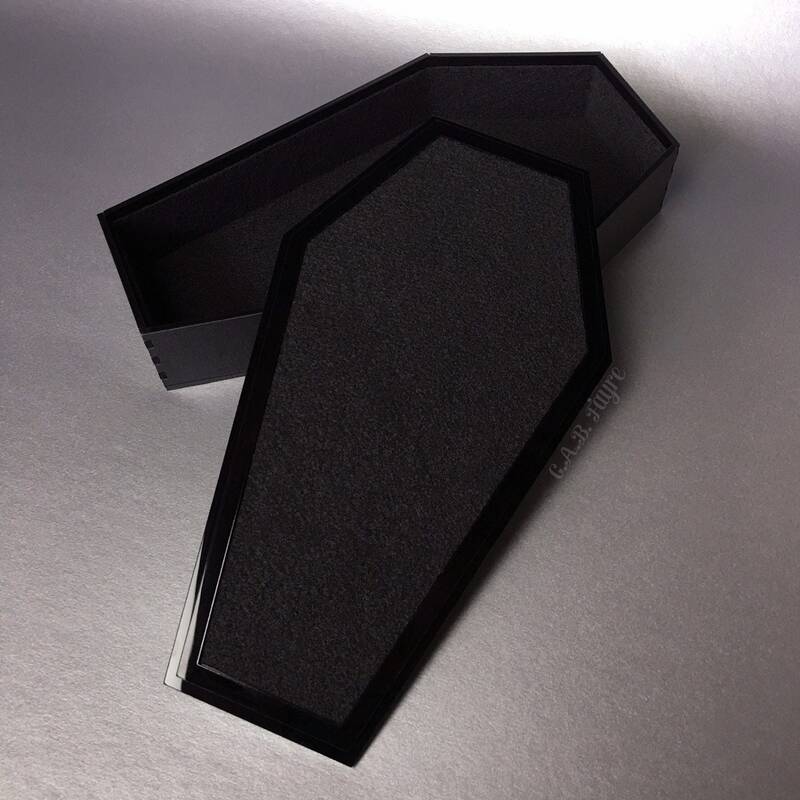 The inside of the box is lined with black felt. The lid has a lip so it locks on and won't slide off. 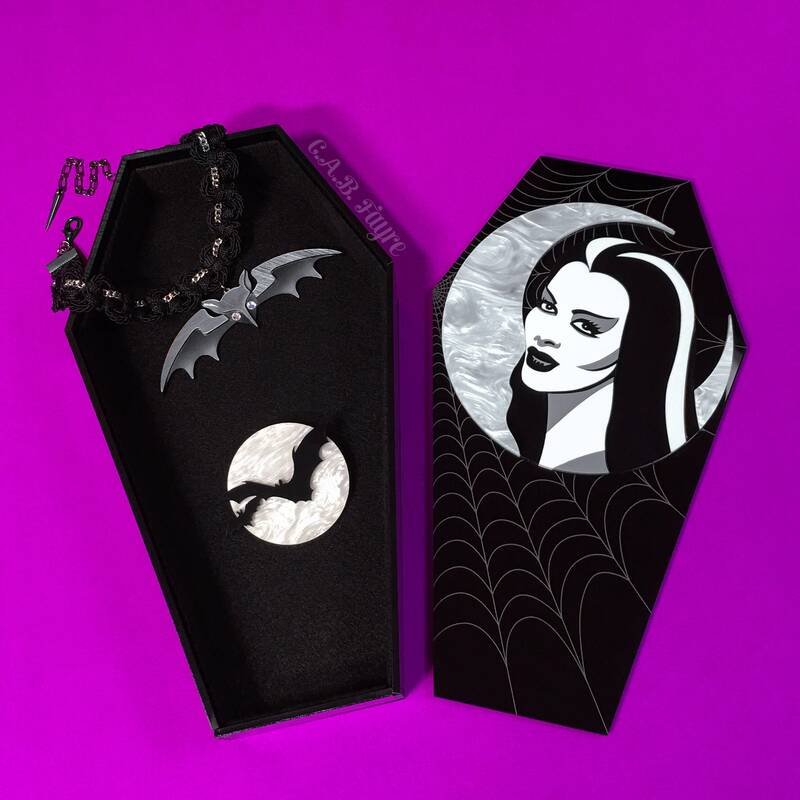 Comes with a cleaning cloth to keep the glossy black acrylic shiny and clean.